The meeting space at Beach Quarters is primed for productivity. Whether you’re planning a picture-perfect wedding ceremony, reception or rehearsal dinner, or an efficiency-focused business meeting, our resort hotel provides more than just a venue for events in Virginia Beach. Beach Quarters is a place to stay, relax, meet and gather on the beautiful south end of the city’s oceanfront promenade. 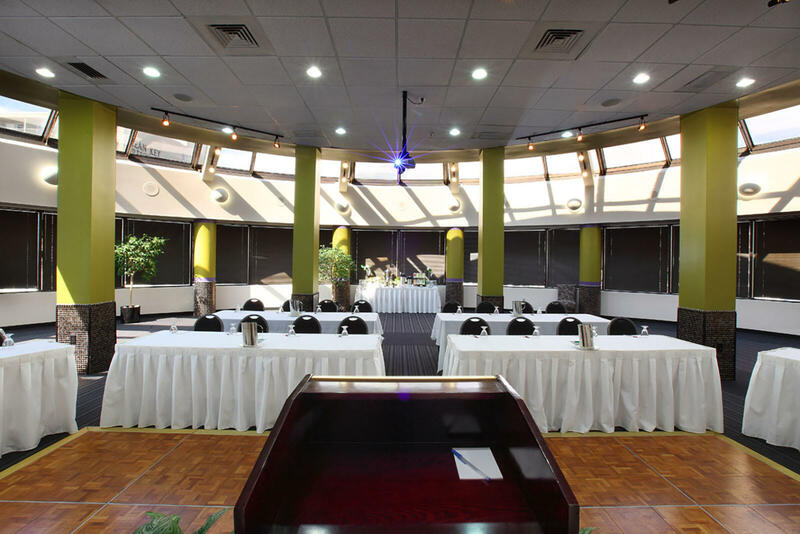 Our 2,200-square-foot event venues in Virginia Beach is a modern, circular space with large windows and views of Atlantic Avenue. Any event at Beach Quarters can be augmented with custom catering service arranged by our experienced staff. Group stays along the boardwalk are easy, amenity-filled and offer great value at Beach Quarters, where our sales team associates will work with you every step of the way to secure your room block and make any necessary arrangements. Make the biggest day of your life and unforgettable experience with our Virginia Beach wedding venues. Discover the perfect location to host your wedding ceremony, reception rehearsal dinner or cocktail hour. Beach Quarters Resort features event spaces offering stunning views of the Atlantic Ocean. Beach Quarter’s Resort is one of the area’s leading Virginia Beach government travel destinations. Whether you’re planning meetings at a nearby facility, engaging in team-building with various beach activities or looking for a relaxing getaway, allow Beach Quarters to make your stay unforgettable. Make reservations today for your group at Beach Quarters Resort, ideally located near Virginia military bases and government offices. Business travel doesn’t have to be all work and no play! Plan your next retreat or corporate getaway at Beach Quarters Resort and experience all that Virginia Beach has to offer. Located on the south end of the boardwalk, our oceanfront resort, features a state-of-the-art business center, meeting facilities and high-speed in-room Internet access to keep you connected throughout your stay. Plan family reunions in Virginia Beach with Beach Quarters Resort, with the most amenities of any resort in Virginia Beach! Beach Quarters is a top choice for any family looking for a relaxing getaway in Virginia Beach. Offering easy access to kid-friendly activities and an array of event spaces, Beach Quarters offers something for each member of the family! Our suites’ floor plans are arranged to accommodate up to six guests at a time, providing ample space for large families.